Clanmother has been nominated for the distinguished Family of Bloggers Award by Cristi M at Simple.Interesting. 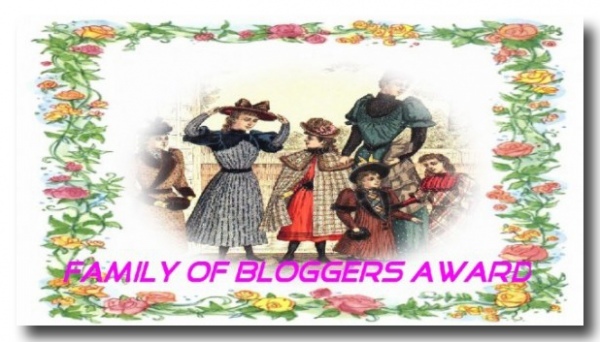 I am honoured to accept the nomination because, in my opinion, our blogging community is about being a family. Bloggers from across the world, come together to create a community that thrives on the exchange of ideas, information, knowledge and wisdom. We live, write and breathe diversity. We may come from different countries and cultures, even speak different languages, but one thing is certain: we all want to make a difference. With every post, every comment and every photo, we add value, humour and encouragement to the conversation.